The ceasefire monitoring on the contact line between the Azerbaijani and Armenian troops, in the direction of Azerbaijan’s Aghdam district, held in accordance with the mandate of personal representative of the OSCE chairperson-in-office on April 10, ended without incidents, Trend reports referring to the Defense Ministry of Azerbaijan. The Personal Representative's field assistants Simon Tiller, Ghenadie Petrica and representative of the HLPG Lieutenant-Colonel Ralph Bosshard carried out the monitoring on the territory of Azerbaijan. 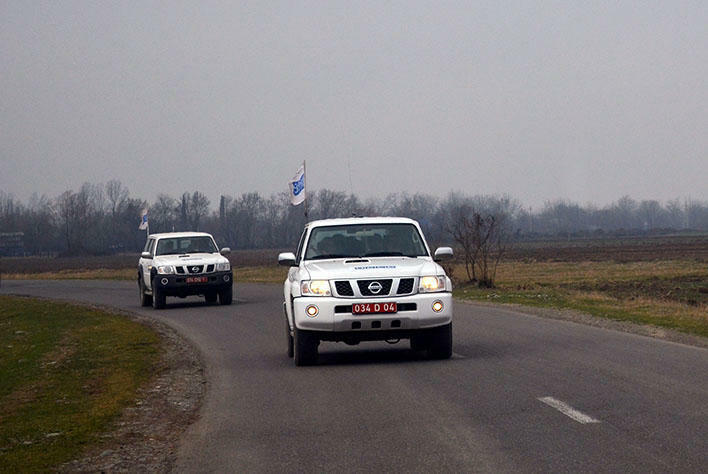 Personal Representative of the OSCE Chairman-in-Office Andrzej Kasprzyk, the Personal Representative's field assistants Mihail Olaru and Ognjen Jovic, Colonel Yuri Dudchenko carried out the monitoring on the territory of the Republic of Azerbaijan occupied and controlled by the armed forces of Armenia.